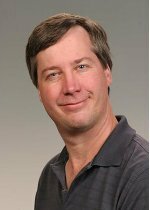 Terence Critchlow, a chief scientist in the Computational Sciences & Mathematics Division at Pacific Northwest National Laboratory, has been selected to participate in the National Academy of Engineering's 16th Annual U.S. Frontiers of Engineering symposium. The event brings together the country's outstanding young engineers from industry, academia, and government to discuss pioneering technical and leading-edge research in various engineering fields and industry sectors. "As we face the challenges the next century brings, we will rely more than ever on innovative engineers," said NAE President Charles M. Vest. "The U.S. Frontiers of Engineering program is an opportunity for a diverse group of this country's most promising young engineers to gather together and discuss multidisciplinary ways of leading us into the economy of tomorrow." Terence is one of 87 engineers selected from among approximately 265 applicants. His research interests are focused in the areas of large-scale data management, data analysis, data integration, meta-data, data dissemination and scientific workflows. In particular, current projects for both science and security customers include research in multi-dimensional data dissemination, OLAP, link analysis, and extending workflow capabilities within the Kepler workflow engine. The symposium will be held Sept. 23-25 at the IBM Learning Center in Armonk, N.Y., and will examine cloud computing, autonomous aerospace systems, engineering and music, and engineering inspired by biology.